Not too long ago, I spent about a decade living in an artist studio with no yard or kitchen - so this cooking and gardening thing is still new and super exciting to me! And I'm not sure if any of you did this, but I grew way too many tomatoes. If so, then you need to do something with all of them! 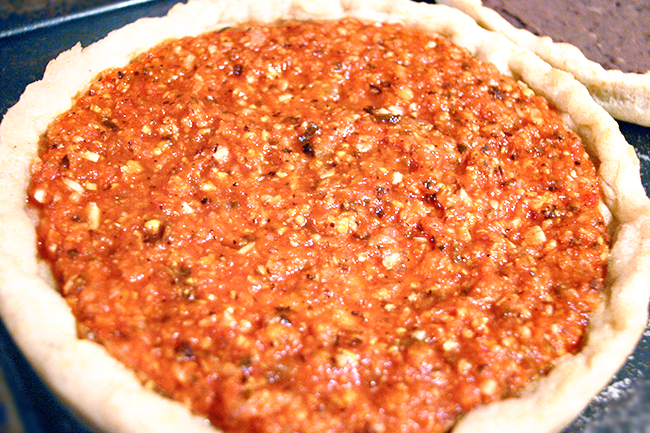 I'm usually strapped for time, so I came up with a fast, easy and delicious pizza sauce that can be thrown in the freezer in meal size portions and can also double for marinara sauce. It took about two hours total, including cleaning and was so, so good. The best part was that unlike the vast majority of tomato sauces, this contains absolutely no sugar. I added in the corn for a touch of sweetness and that was all it needed. 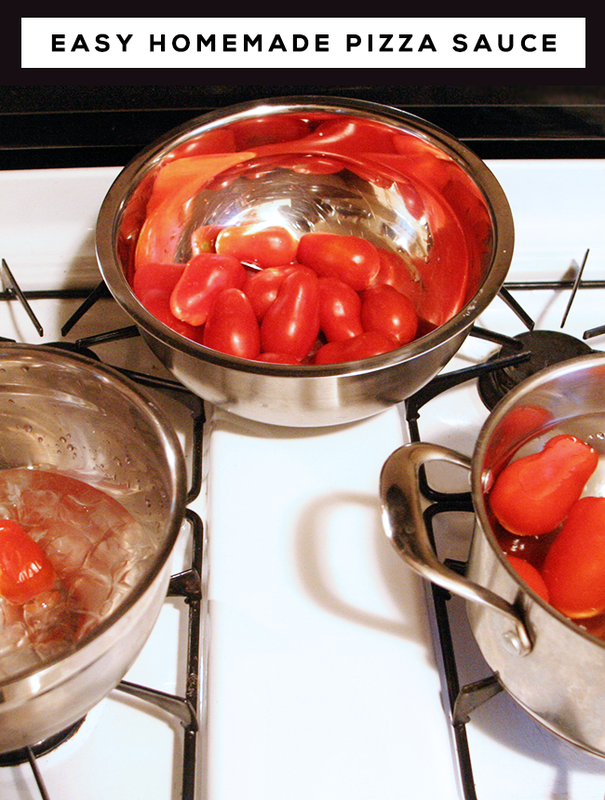 First I peeled the tomatoes. My quick method is to drop them in boiling water for about 1 minute until the skin starts to crack, then put them into ice water to stop the cooking. This method allows for the skin to be easily peeled off. 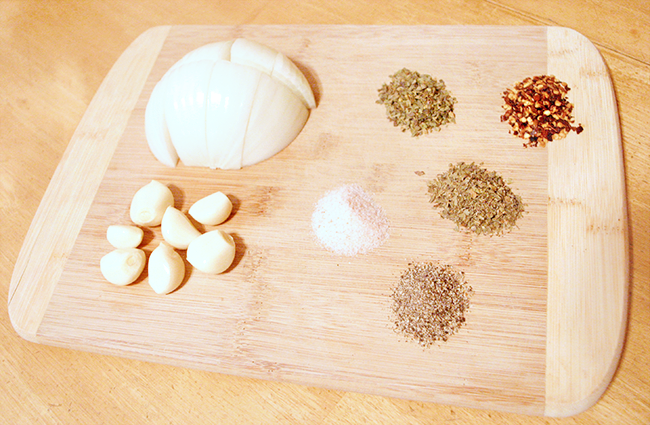 I then used my food processor to blend the garlic and onion together, and threw them into a pot to brown. While they were browning, I threw the cup of frozen sweet corn into the food processor and blended, then added that to the garlic and onion mixture. Next I blended the tomatoes - I started with half because of lack of room in the food processor, then added the rest. 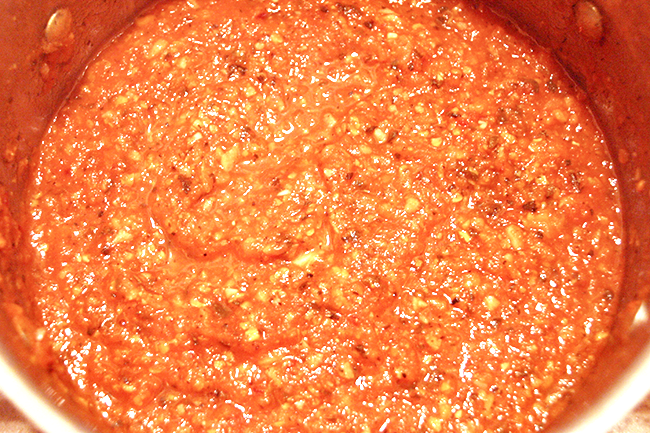 After this I put the tomatoes into the pot, added the rest of the ingredients, simmered uncovered for 90 minutes. 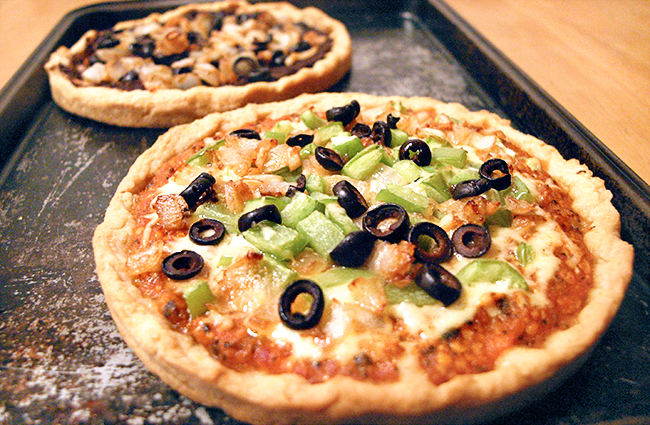 Once the sauce was done, I spread it on my pizza crust, added toppings, and baked. SOME TIPS: If you are using fresh chopped oregano and basil, wait until the end to add them. 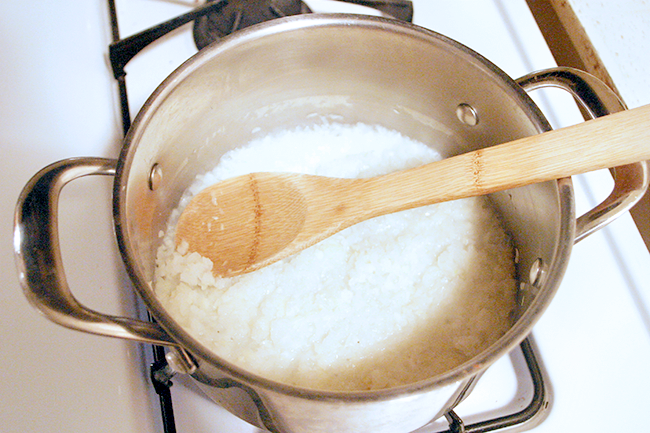 Allow sauce to cool before jarring for the freezer or refrigerator. Double the recipe if you have a big enough pot and lots of extra tomatoes. I could have done a double recipe for sure and may make another batch tonight! We actually still have tomatoes growing in our container garden (they were late bloomers - literally - this year in comparison to the rest), so this post couldn't have come at a better time. And everybody please welcome our new Lifestyle Contributor, Jen! Jen joined our team a couple of weeks ago and I am majorly stoked. She is a super talented designer (for some pretty impressive companies like Whole Foods) and social marketer who will be sharing her DIY, design, and food posts here on a regular basis. You can read more about her here, and also find her on her website, Instagram, and Twitter. Those pizza's look delicious! I've never heard of avocado oil, wonder if we can buy it over here. And I think I would like the addition of the corn to the sauce, definitely something I would love to try. In years past when I've planted tomatoes, I always had more than we could eat. I'll definitely keep this handy for next year. Love a good easy recipe. Thanks! Ten years without a kitchen?! I am seriously impressed. I don't cook much but without at least a hot plate, I'm pretty lost - and would likely survive on cereal. This pizza sauce sounds and look absolutely delicious. Now I want pizza for lunch! Thanks for sharing this, looks so good.